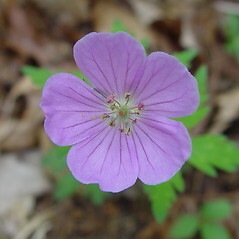 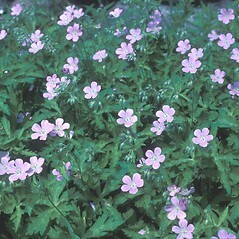 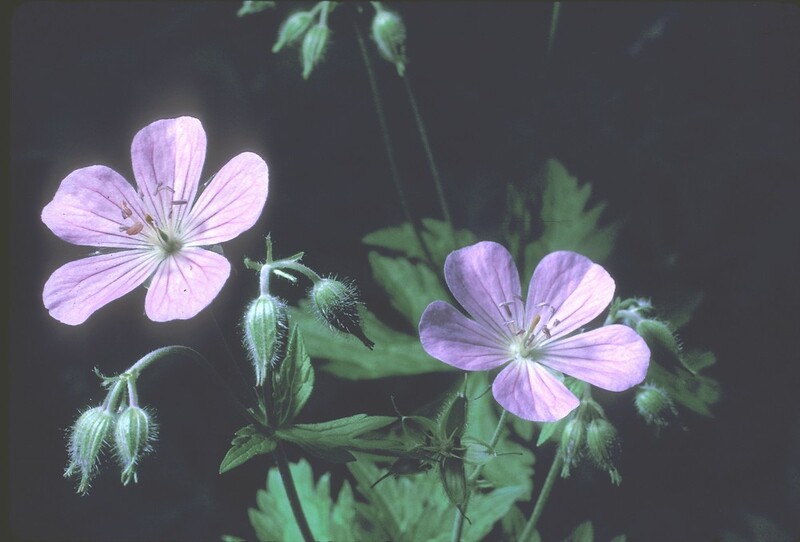 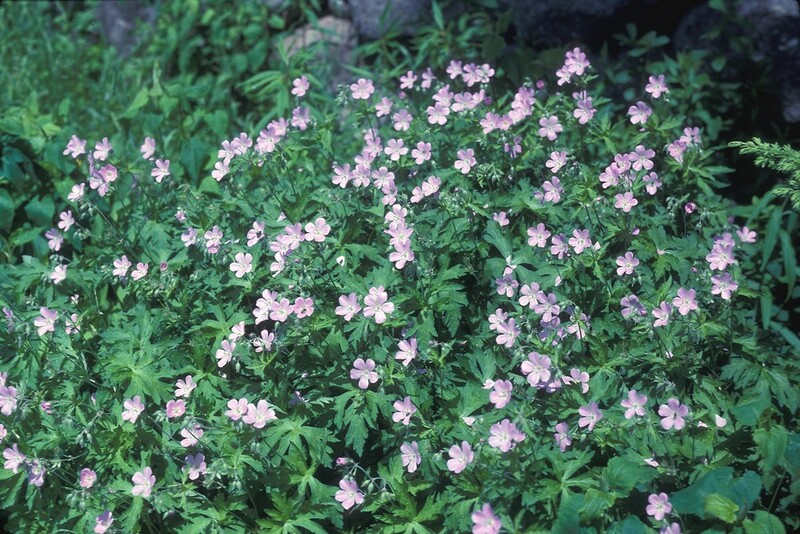 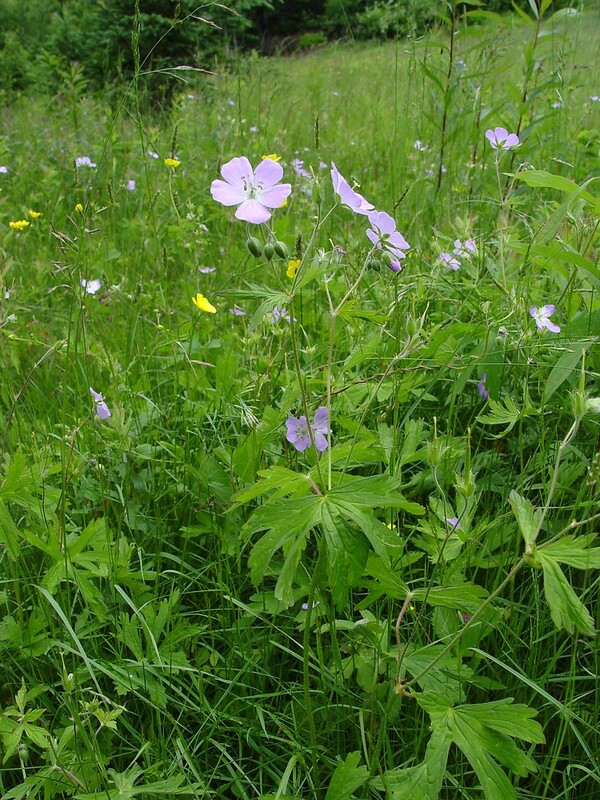 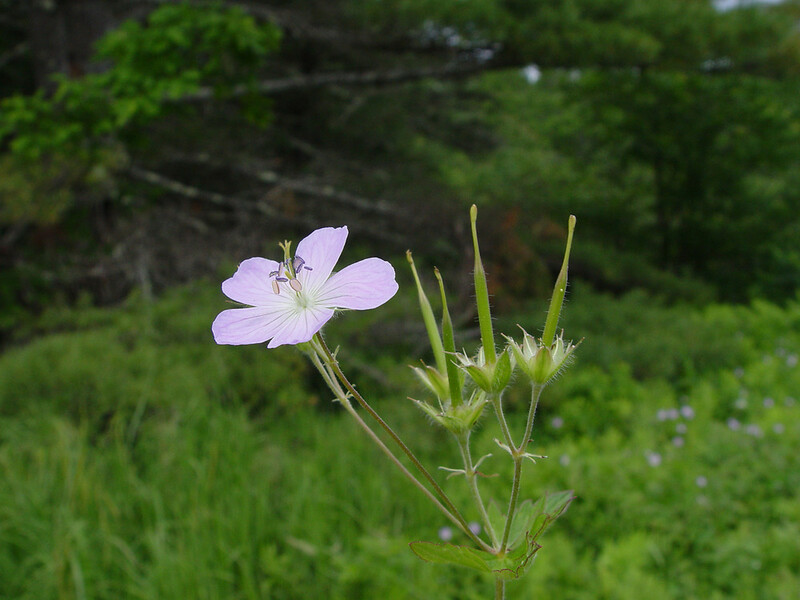 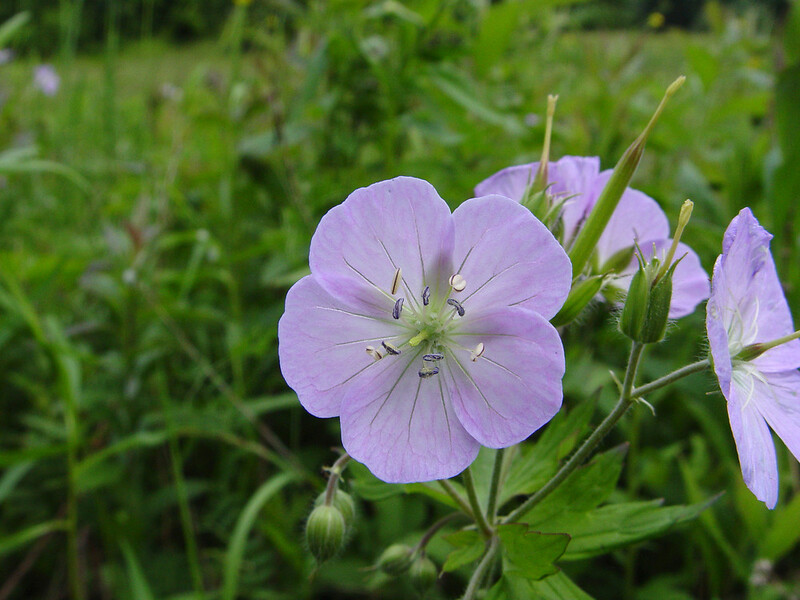 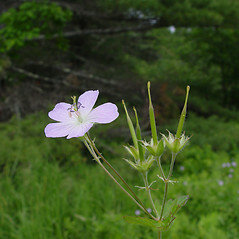 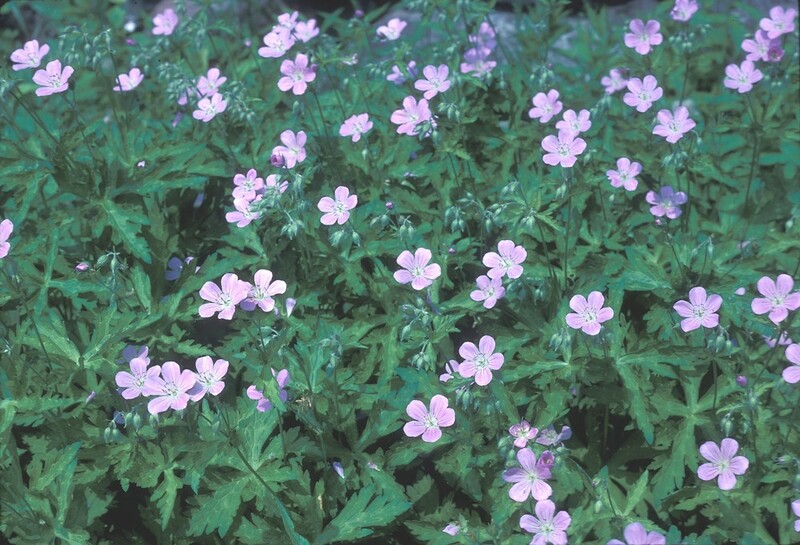 Spotted crane's-bill is becoming a popular native garden plant. 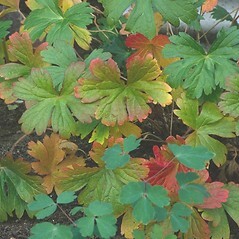 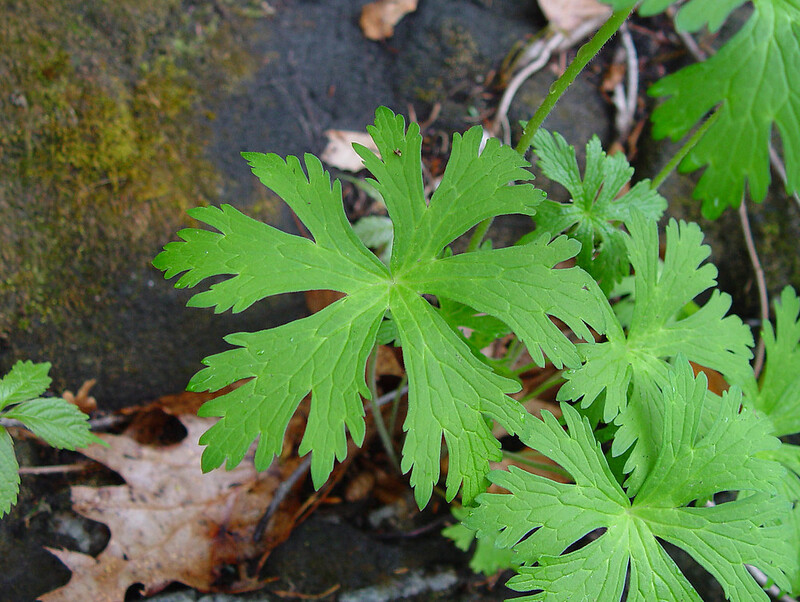 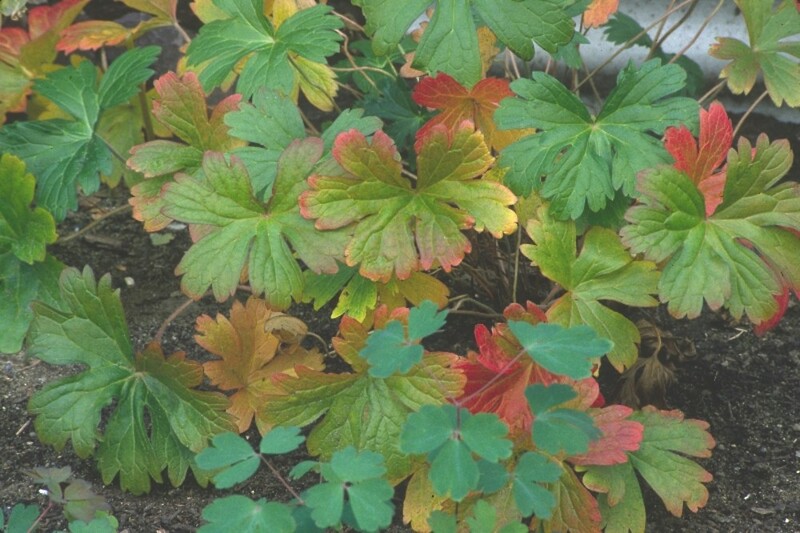 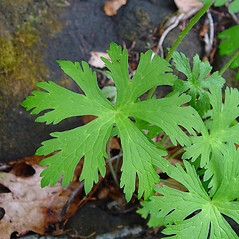 It also has many uses in herbal medicine, including the treatment of gum disease and cankers. 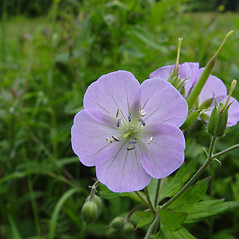 petals blue to blue-purple, sepals and flower stalks with abundant stipitate glands (vs.G. 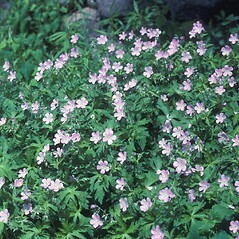 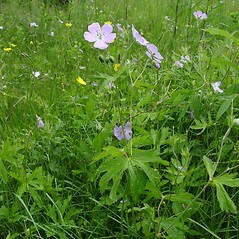 maculatum, with petals pink to pink purple or rarely white, sepals and flower stalks hairy but without stipitate glands). 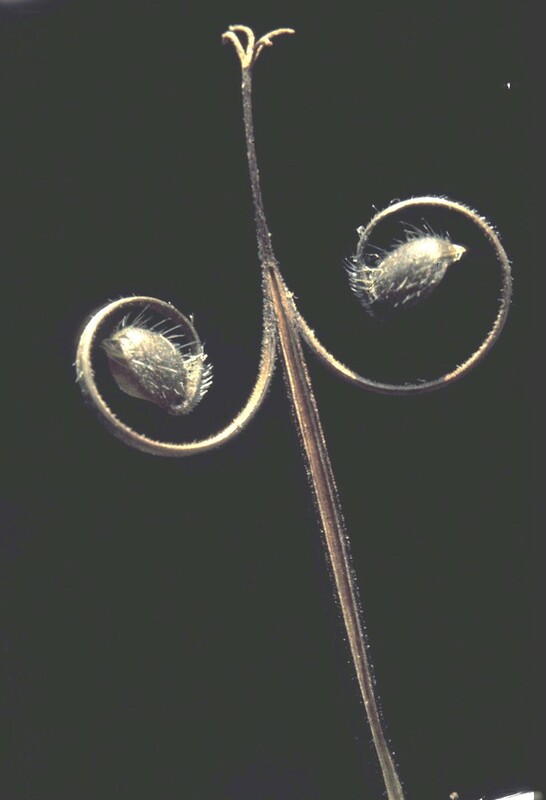 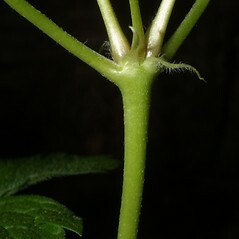 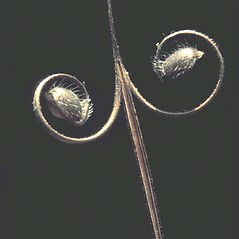 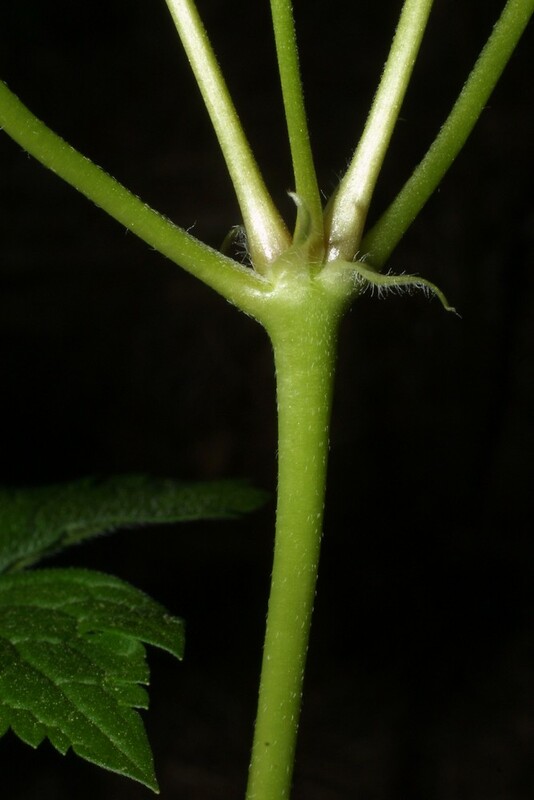 each cymule of the inflorescence usually 1-flowered, stems with several leaves, and petals retuse at the apex (vs. G. maculatum, with each cymule of the inflorescence usually 2-flowered, stems with a single pair of leaves, the other leaves basal, and petals entire or very slightly retuse at the apex). 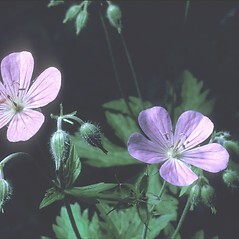 spotted crane’s-bill. 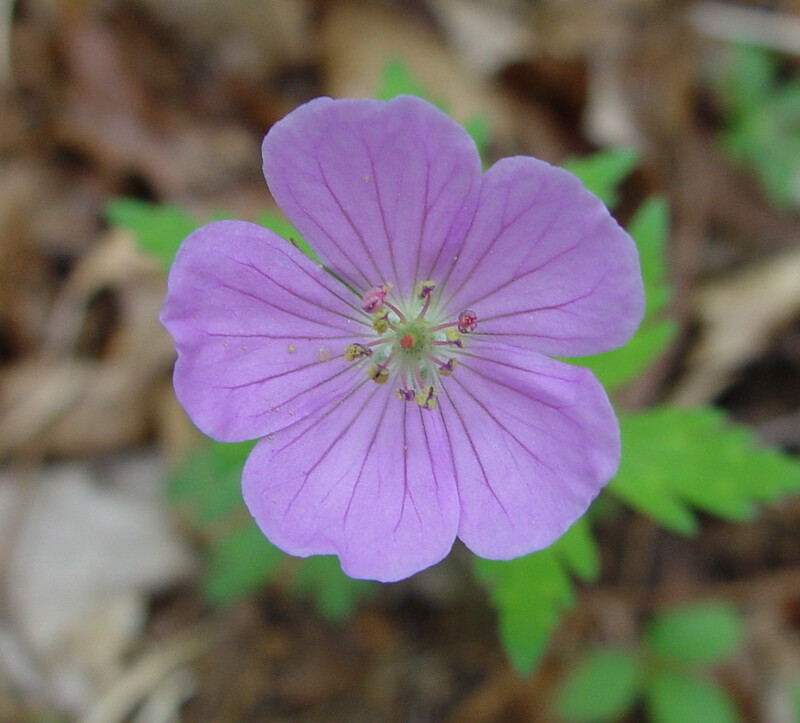 CT, MA, ME, NH, RI, VT. Mesic to wet-mesic forests, meadows, roadsides, and clearings.